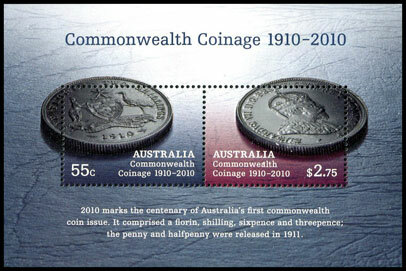 2010 marks the centenary of Australia's first coins - the florin (2 shillings), shilling, sixpence and threepence. Each coin was produced at the Royal Mint in London, with the obverse and reverse of the 1910 florin shown on the stamps. The miniature sheet is embellished with silver foil printed with four colour process. 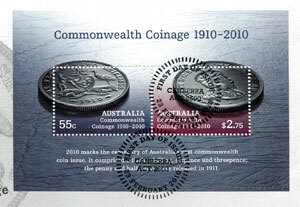 Collectors may notice a number of similarities between this issue and the 2005 issue for the 150th anniversary of the first coin produced in Australia. As with the 2005 coin issue, there are two sheet stamps (representing the small letter and highest large letter rates) and an embellished miniature sheet. The two sheet stamps are issued in individual sheets. There is no decoration in either gutter. 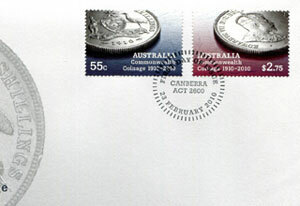 The $2.75 stamp (without embellishment) also exists in the Canberra Show miniature sheet. This stamp is identical to the sheet stamp. The two stamps from the miniature sheet are die-stamped with silver foil, with is then oveprinted with four colour process and embossed. An image of the miniature sheet stamps will be added when the stamps are available. 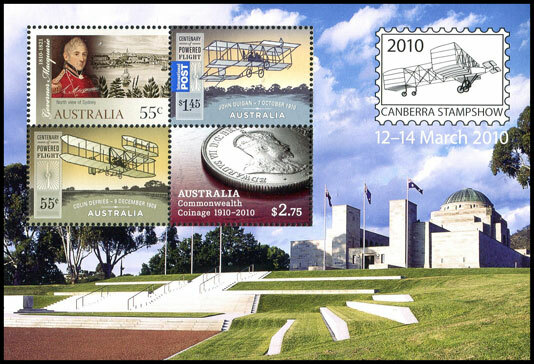 The $2.75 stamp (without embellishment) also exists in the Canberra Show miniature sheet. This stamp is identical to the sheet stamp described above. The coins and embellishment continue into the sheet margin. I have seen at least two miniature sheets where the embossing has been misplaced by at least a millimetre. 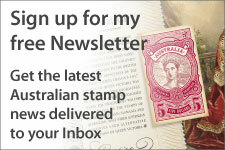 It has also been reported on Stampboards that some examples of the miniature sheets have been embossed twice. It also appears that a mistake was made with the postmarking of first day covers. Miniature sheet first day covers have been stamped twice - once at the bottom, and again on the $2.75 stamp. The second postmark is in the same position as the postmark on the sheet stamp first day cover. It is not known if every miniature sheet first day cover has been postmarked twice. 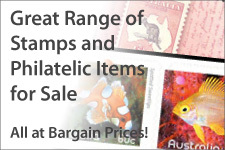 The $2.75 stamp also appears in the Canberra Stamp Show miniature sheet issued on 12 March 2010. 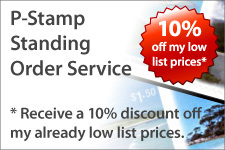 This stamp is new on a specialised level due to a change in printer. Two maximum cards were issued, one for each stamp.